Reviews for Casa Kitchens Inc.
Gloria always promptly responded to my phone calls and emails, and provided whatever answers and information I requested. She provided a quote and options quickly and was among the most competitive price, and I really looked around. Vincent promptly arrived to take measurements and show me samples of various options. 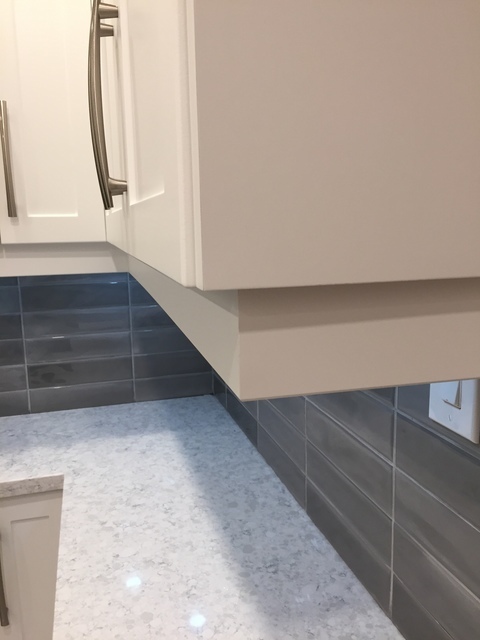 He also added value in allowing slight extra clearance above stove vent, and ensured dishwasher door opening clearance before we selected our pull hardware. Vincent arrived punctually to install and left the place clean upon his departure. Gloria, you emailed me to ensure all was fine with the installation. The answer is, most certainly, yes, and that I am glad we worked together on this. Thanks Rhoda. It is our pleasure to serve you and work with you. We are glad to know that you are very happy to our service and workmanship. Enjoy! I just love my new kitchen!!! It has been a very pleasant experience dealing with CASA team. They are very professional with great attention to details, offering ideas and options within the confines of my expectations and budget. It’s a challenging process yet rewarding as I learnt a lot on the design and choice of materials. The working team so impressive not only they completed the project as scheduled but coordinated well with other contractors on counter top, plumbing and tiles etc. The quality is exactly what they promised. I can see they are proud of their work and final product. All in all I am a very happy customer, and would recommend without hesitation to anyone who are thinking to give their kitchen a new face. Thank you Peter & Bonnie. It was a pleasant experience to be able to work you two. All the staff in Casa Kitchens are glad to know that you love the new look of your kitchen. Enjoy! We moved back to Canada and did a full apartment renovation. Thanks to our contractor who referred us to Casa Kitchen's team and that's the beginning of a wonderful journey. From the design stage to the completion of the entire project, no details are overlooked. The team comes with forty years of cabinet making experience, the understanding of space/functions, and the ability to listen to their clients' needs. Their advise and guidance are invaluable. 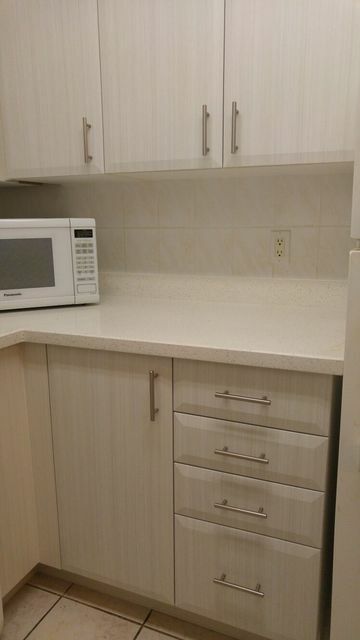 The workmanship is top notch with every cabinet perfectly aligned. We are very happy clients who can't take our eyes off the cabinets. We are more than happy to recommend Casa Kitchens to anyone! Thanks Jane and David. All the staff in Casa Kitchens were happy to work with you too and it was indeed a very pleasant experience. 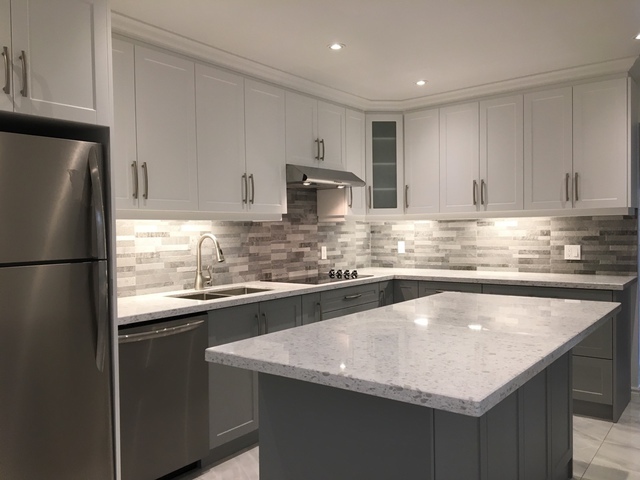 Welcome back to Toronto and it is our pleasure to have the opportunity to renovate your new home. We couldn't be happier with our refacing of our kitchen, we also added some new cabinetry. The staff was extremely polite and knew exactly what they were doing. They were very efficient, and conscientious to detail. Gloria, Vincent, Mr Lee and the counter top staff were all wonderful to work with. If you are thinking about redoing your kitchen I would highly recommend this company. Thank you Linda & Bob! It was our pleasure to work for you too. What a pleasant experience! 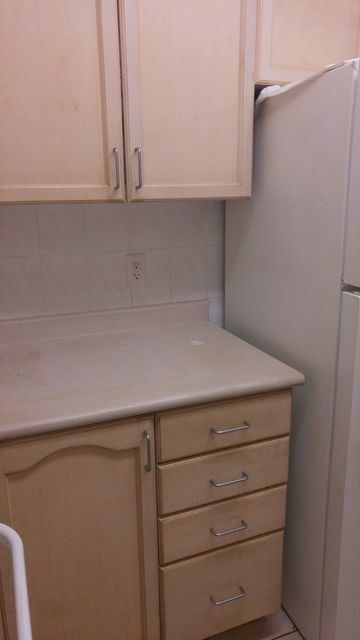 We needed to reface the kitchen cabinets and replace the countertop. The team at Casa Kitchens was professional from start to finish. They were very helpful with providing suggestions about colour schemes, counter top and sink choices as well. We were apprehensive about choosing the perfect tiles which would complement the other features. They were kind enough to lend us samples which we used when selecting tiles for the backsplash & the wall paint colour. Overall, Casa helped to create a much brighter space for a kitchen which is not exposed to any natural light. 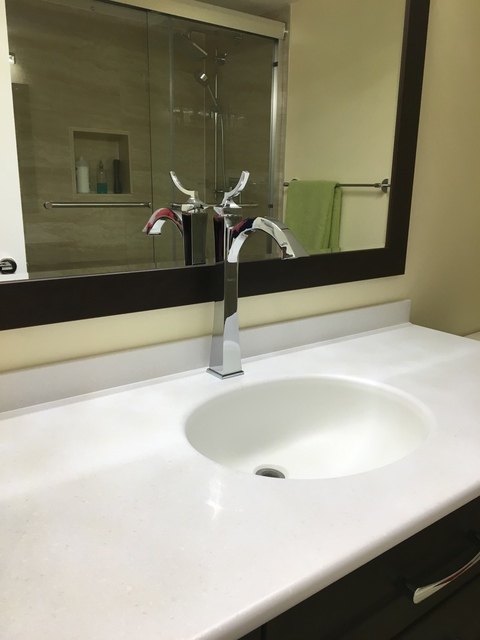 The team was very efficient with the installation, and always cleaned up after themselves. 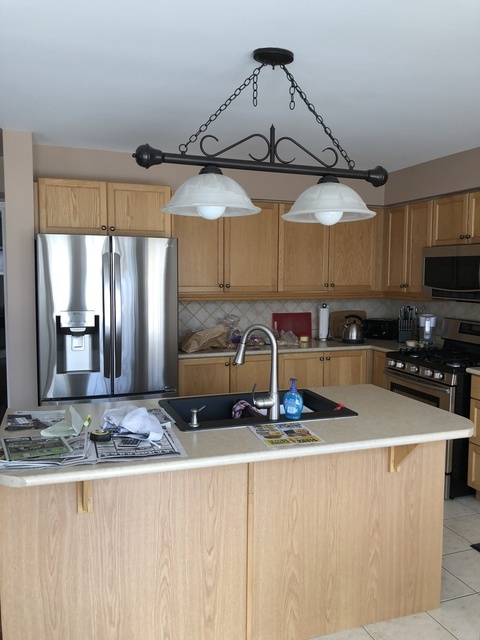 We were looking to upgrade our builder kitchen to maximize our counter and storage space. After interviewing several companies we chose Casa Kitchens who provided us options that best met our needs. Their service during the planning stages were friendly and responsive. We couldn't be happier with the quality of their product and can't believe how much more space we have now. Their installation process was quick and clean. I would definitely use their services again when we decide to add a kitchen to the basement. 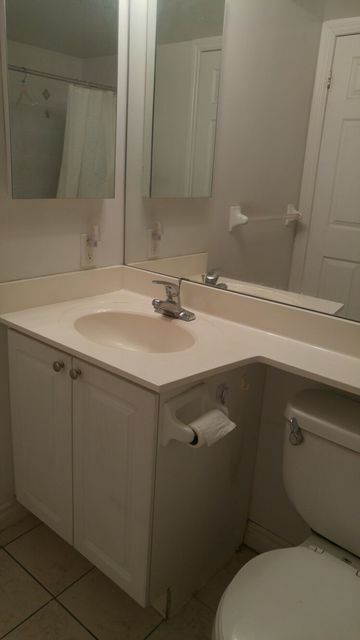 CASA did a wonderful job in refacing my kitchen and vanity. 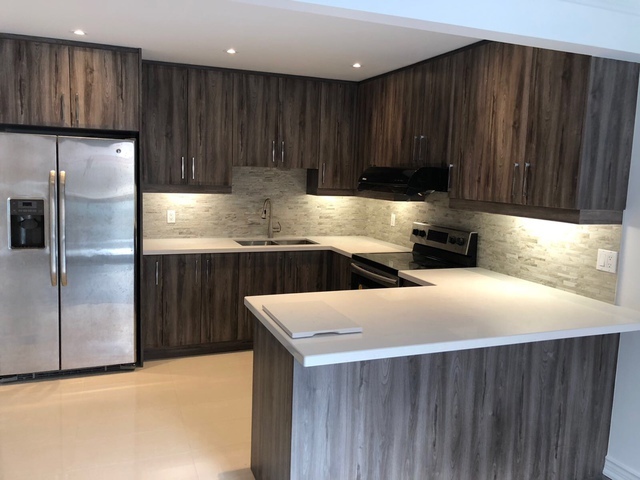 The communications with them was very smooth in the beginning from choosing the counter top and cabinets doors at their shop to on-site measurements and actual work in the apartment. The workmanship is highly professional and their work attitude is impeccable. 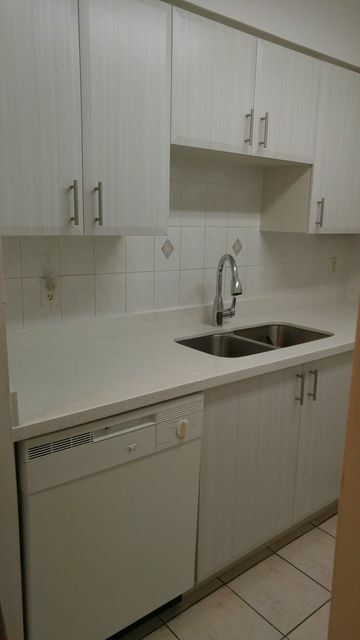 They make upgrading the kitchen so simple (all done in 2 days) and yet the price is very reasonable. 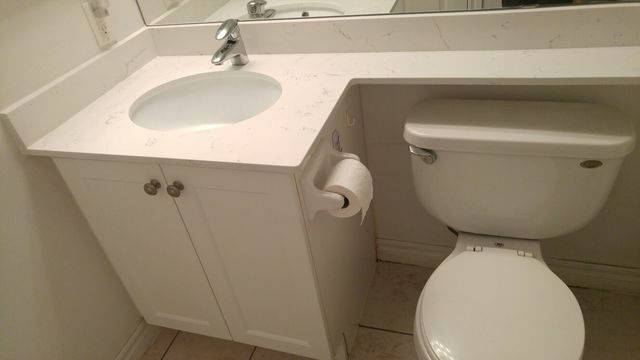 Not to mention they also coordinated with the counter top supplier and plumber, everything was delivered as scheduled. Last but not least, they also clean up the place after their work which is very rare these days. 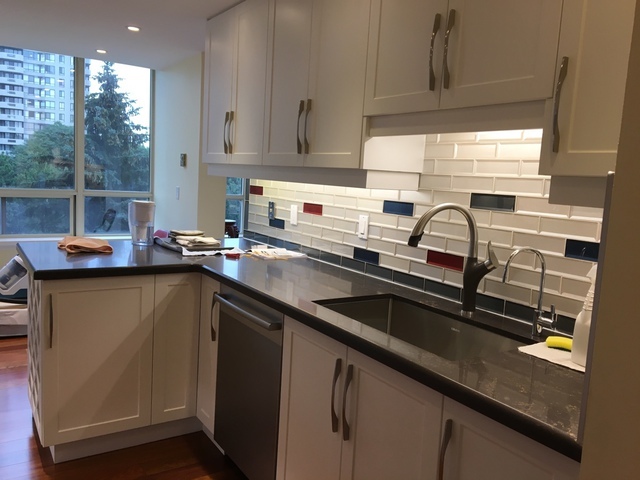 Casa Kitchens was highly recommended to us by our friends who just did a complete reno for their kitchen. 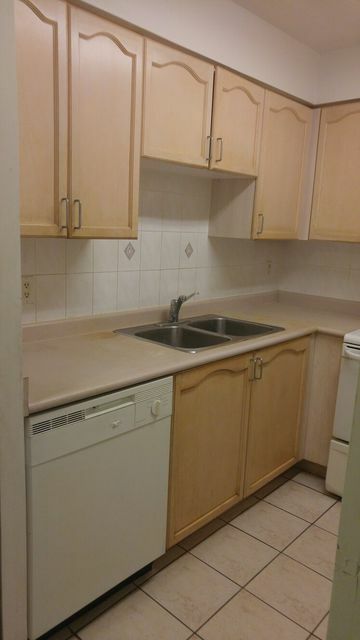 Our condo kitchen looked really tired from the abuses of previous tenants. We had limited budget, but really want to revive it or make it "livable". 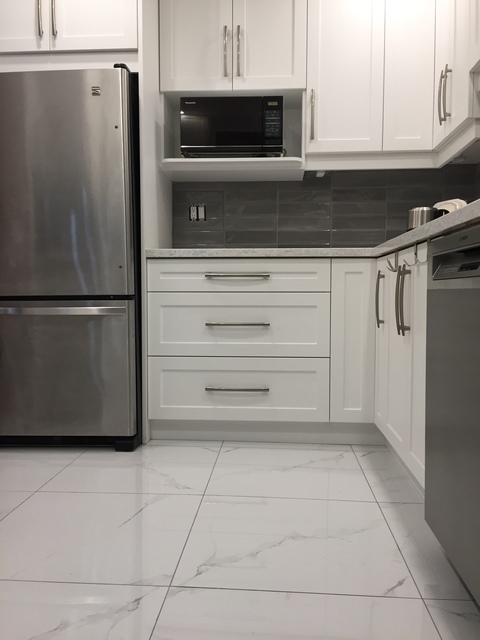 Gloria helped us make some smart choices on the cabinet selections, layout modifications, and we were able to acquire great quality products within budget. Vincent's workmanship was also remarkable, our kitchen now looks fresh and on trend. We couldn't be happier ! Thumbs up to everyone in Casa Kitchens for your professionalism ! You are so pleasant to work with ! We will sure recommend your great work to our friends and families. Thank you !! 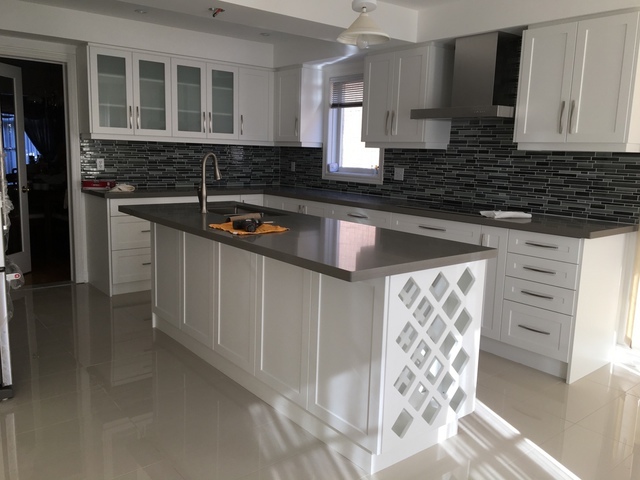 If you are looking professional, knowledgeable, friendly and reliable kitchen renovation Company then contact Casa Kitchen. You will not be disappointed. Thank you Vincent and Gloria for looking after all the details and coordinating the project. Vincent from Casa Kitchens is the best. I met him through a referral after having a couple of bad contractor experiences and he was the total opposite. He was able to take the work that I had already started, fix the mistakes and complete it all for a reasonable price and a quick turnaround. My kitchen and bathroom are beautiful now! 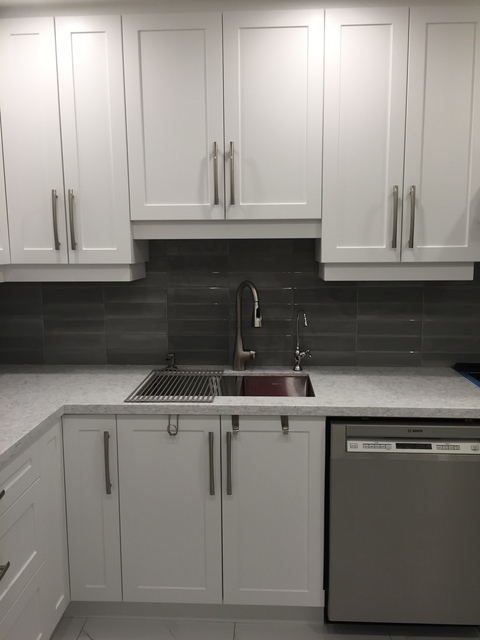 The total job included some carpentry/cabinet finishing, quartz countertops, subway tile backsplash and some custom shelving. I would definitely recommend Casa Kitchens and will be using them again in the future. 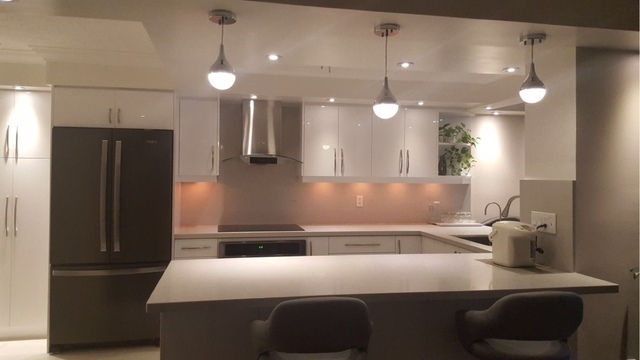 More about Casa Kitchens Inc.
At Casa Kitchens, we want to make this an enjoyable, zero hassle and most importantly for some, a stress free process. Refacing can seem daunting, shrouded in mystery and complicated; we’re here to make sure that it won’t be any of those things. 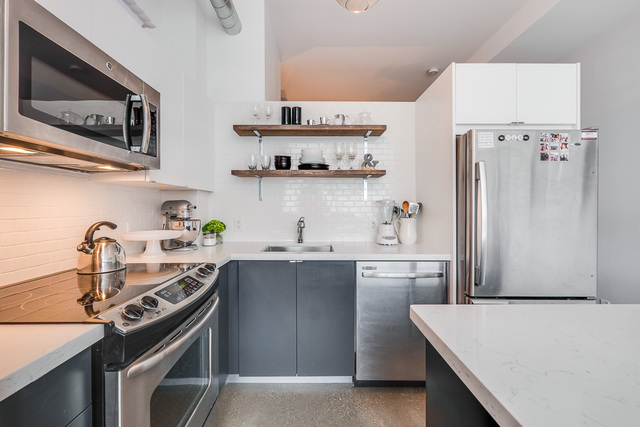 We’ll be guiding you throughout the whole process, working around your schedule and catering to every detail demanded of your kitchen and vanities. Whether it’s the installation of your brand new island, or just a small millimeter adjustment for your cabinet drawers. Nothing is more important to us than your satisfaction and we’ll be aiming to anticipate your needs before they materialize. After all, that's what we're here for. Once we reach the end of the road, it’ll be a rewarding experience for all parties. A combined creative effort, resulting in an elegant, yet practical masterpiece and the intrinsic reward of a job well done. So take a look around, see what we do and why we do it best. Peruse our gallery for some samples of our work and if you have any further questions, come in and talk to us!